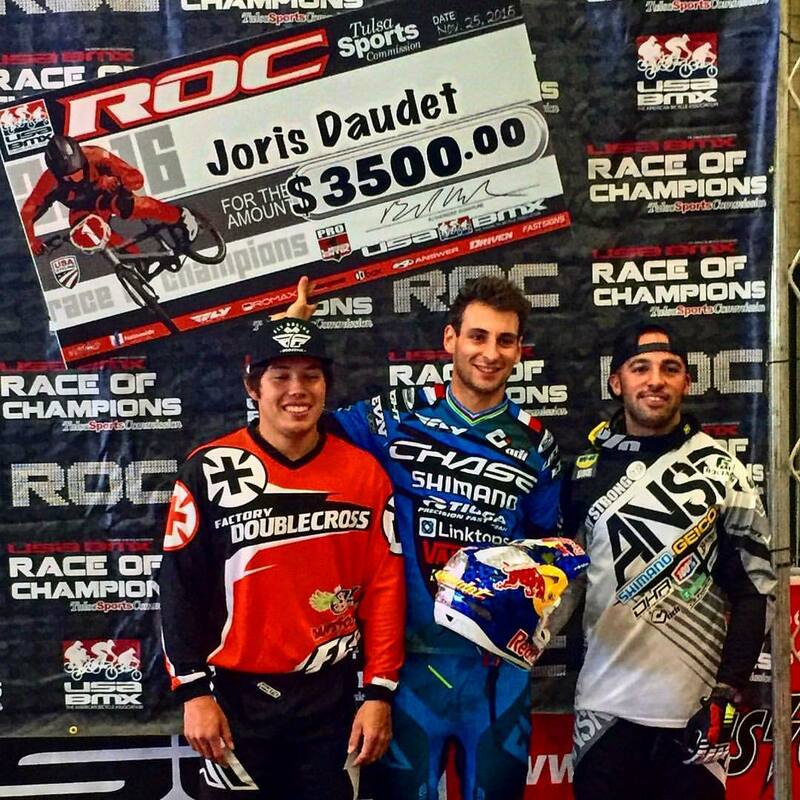 Joris Daudet wins the USA BMX Race of Champions event! 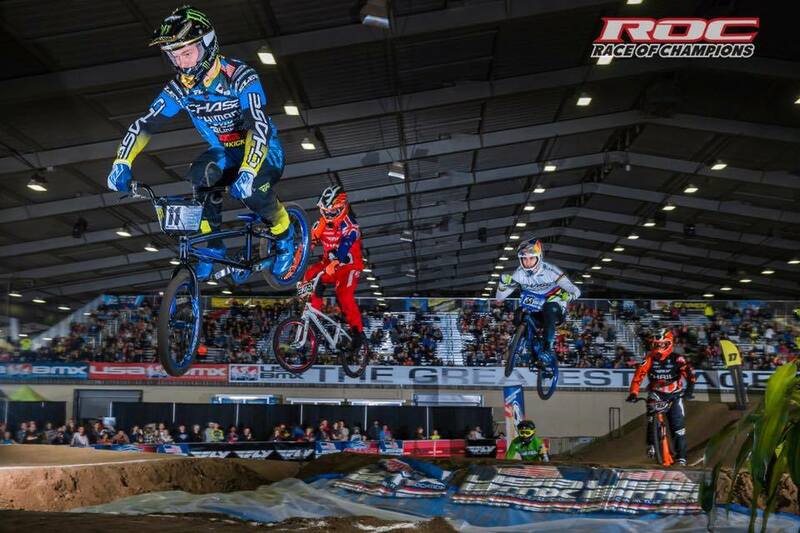 Joris Daudet tonight was the winner of the USA BMX Race of Champions Pro Event at Tulsa, OK. This was the last AA Pro National event, before the season ending USA BMX Grand Nationals for the AA Pros tomorrow night. This was Joris 7th AA Pro main event win of the 2016 season, where they take the riders best 10 scores towards the overall National Championship. Joris and Connor Fields both rode strong, all the way info the main event today. Both riders would face adversity, as in the first of 3 main events, they would crash while in the top 3 spots. Joris and Connor would come back and finish 1st and 2nd in the 2nd main event. In round 3 of the main events, Joris would take the win once again, while Connor had bad luck after being bumped and his brake would jam into his wheel, causing him to not to be able to finish riding the lap. With this win in the 3rd round, Joris would take the overall win for the day, giving him a great lead for the overall Championship for tomorrows last event of the 2016 USA BMX season. Tune into the USA BMX live webcast on www.usabmx.com tomorrow night to watch the AA pros race during the Pro Spectacular for the overall USA BMX #1 Pro title of 2016!